A young man attempted to rob a Nassau Educators Federal Credit Union. New Hyde Park, NY - December 30, 2013 - The Robbery Squad reports the arrest of a New Hyde Park man for an Attempted Bank Robbery that occurred in New Hyde Park. 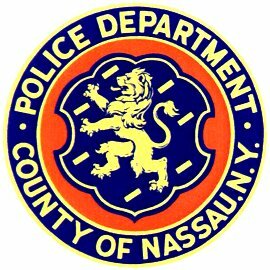 According to Detectives, defendant Joseph Holler, 23, of 9 Midland Drive, entered the Nassau Educators Federal Credit Union located at 1636 Marcus Avenue and presented a teller with a demand note. Third Precinct Police Officers arrived at the location in response to a hold up alarm and located defendant Holler inside the bank prior to him obtaining any proceeds. When Holler observed the officers he immediately fled out the side door of the bank and began running southbound on Marcus Avenue. Officers apprehended Holler without incident in the rear yard of a home on Nortema Court. At the time of the incident there were six employees and four customers in the bank. No injuries were reported. Defendant Joseph Holler is charged with attempted Robbery 1st Degree. He will be arraigned on December 31, 2013 in First District Court 99 Main Street Hempstead. Subject: LongIsland.com - Your Name sent you Article details of "New Hyde Park Man Arrested for Robbery"